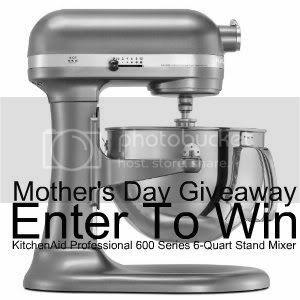 I have teamed up with some super hosts and sponsors to bring you a Kitchen Aid Mixer giveaway for Mother's Day. We love our readers and thought this would be a great way to say thank you for your support and continued participation of our sites. We've made the entries as simple as we can and we really just want you to have fun with this giveaway. Extra entry options will be provided through-out the giveaway and you can share on social media sites daily for extra entries as well. We hope you will take the time to visit each participating site to say thank you for the money each contributed to make this giveaway possible. 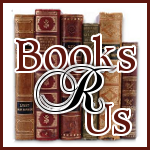 Please thank your sponsor by clicking the below Twitter buttons to share this giveaway. This is not mandatory to enter the giveaway but it is very much appreciated. We love your comments but please note that you will need to enter the giveaway using the rafflecopter form. If you are not familiar with rafflecopter you can watch a quick 52 second video to show you how to enter with rafflecopter. Thank you for your participation and good luck to each of you. This giveaway is hosted by the above mentioned websites and is not affiliated with Kitchen Aid, rafflecopter, facebook, Twitter or any other individuals. The winner will be notified by email at the close of the giveaway as soon as the entries are verified and the giveaway item will then be sent directly from Amazon. None of the above mentioned websites shall be held responsible for any issues that might arise during the shipment from Amazon. Participants must live in the Continental US and be 18+ to enter. I remember cooking with my mom when I was a child. I wish I could live those days again. I love to cook and I consider it a blessing that both my parents cook, as well as extended family as far as the eye can see. One thing I love about family gatherings is watching everyone trying to stake their "space" to whip up another delicious treat. If I win this stand mixer giveaway, I'm giving it to a family member. I would love to get this mixer to help knead dough so I can make my own whole grain breads. May also like to make my own ground beef so avoid the "pink slime". Who knew they were doing that?!? Before my daughter and grandson moved to Texas we would cook together every weekend. I really miss them. My Grandmother used to make amazing yummies with her kitchen maid mixer. I really want to recreate them (if I can) along with some of the other great stuff she made! I like to remember all the Christmases I spent with my mom rolling millions of gourmet chocolate truffles. We did it a few years in a row and it took days right before, all night just melting and rolling and dipping! We did a few other little things in between like gingerbread men and marshmallows, but I was practically rolling those truffles in my sleep. It was a good time with my mom that I'll always remember. My mom was not much of a cook, but boy could she make some cookies. My fave memory is "helping" her mix the dough in her KA mixer (I got to press the buttons) and stealing snitchels. I recently baked 200 cupcakes for my cousin's wedding with my Mom & Auntie....A lot of work but a lot of fun too. Thanks!